What is it: Shadow and liner get together to deliver definition and drama-a multidimensional eye with rich color and buildable sparkle. Smudge, smoke, line or define for long-wearing, standout eyes in five eye-catching shades: Night Sky, Thunderstorm, Sunlit Bronze, Smokey Topaz and Midnight Forest. Who is it for: If you want a bold multidimensional eye look that won't budge, look no further. Why is it different: A unique blend of rich, pearl-infused pigments delivers intense color that stands up to sweat and humidity. The creamy formula lasts up to 12 hours without smudging, streaking or creasing. How do I use it: For flawless application, use the new dual-ended Cream Smudge/Ultra Fine Eyeliner Brush. Starting with the Cream Smudge Brush, apply product all over the lid. Then use the Ultra Fine Eye Liner end of the brush to apply product along the lash line. Product applies beautifully and lasts all day! Love the sparkle that add to my eye.. It's one of those items you must have in your makeup collection. 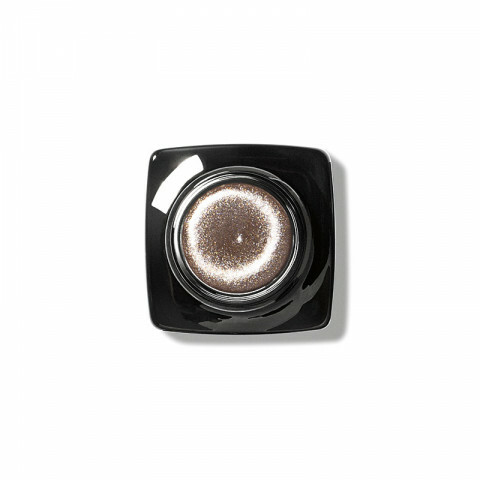 Sunlit bronze makes a beautiful smokey eye for summer. I love how it applies smoothly and does not budge. These apply pigmented and glides on the eyes. Once it sets, it stays put, so work quickly! Lovely color and has long-wear. Applies smoothly.